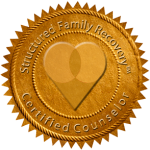 Intervention Associates, PLLC, offers guidance for planning and implementing a Structured Family Intervention—a process that will lead your loved one to healing, while preserving his or her dignity. You will experience the feeling of hope that comes from acting together in love and caring to lift your addicted family member out of the desperation of addiction to alcohol or drugs. No doubt, you have talked with your loved one about his or her addiction and begged them to get help. 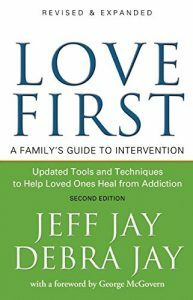 You may even have held family meetings and tried to figure out how to deal with the problem of addiction and the extended effects on your family. Yet nothing has really helped; the addict resists anyone and anything that interferes with seeking their next fix, and you see yourselves being sucked even further into the family disease of addiction. In a Structured Family Intervention, you use the power of the group to present a united front to your loved one, and your formal intervention demonstrates that you love and care about him or her. You emphasize that you will support the process of healing the disease of addiction, but you will not further enable the addiction.